Social media channels have become popular as a marketing tool for your business. If you are looking for a popular social media network then Twitter can prove to be a good choice. However, if you wish to make the best possible use of it, you will require the help of a few tips. The popularity of social media as a marketing tool is based on a simple fact. Customers like to know more about a company before trying out their services. If you have a good presence on social networks such as Twitter, then you will find it easier to attract customers who will be impressed by the professionalism showcased through your profile. If you are running your business yourself, you can use your own photograph. If you have a logo, you can use that instead but ensure that the image is a high contrast one. Use the bio option in the profile to state the mission of your business. The URL of your website has to be present in the bio. There is no reason why you cannot show off your personality through the bio as long as it is interesting. The best kinds of tweet start off with the message followed by the link and ends with the hashtags. Twitter prides itself in being a micro-blogging network so you should keep your tweets as short as possible. 100 characters should be the optimum amount for a tweet. It allows your followers to add their own message afterwards when re-tweeting. Do not stick to only one source when sharing links or only share only one kind of content. In most cases it gets boring while in other cases, it can become infuriating. There is no need to be serious all the time when using Twitter. Send out a couple of funny and humorous tweets once in a while to keep your followers entertained. Headlines tend to be quite boring so they are rarely good enough for re-tweeting. Instead, create your own statement. This shows that you are willing to take the extra effort. Describe the link by adding your own thoughts about it or lift a quote from the linked article. You can even ask questions. The easiest way to get your followers share your own content on Twitter is to use images. As long as the images are related to your business, you can post them and get a lot of re-tweets. Additionally, they may even go viral. Take the time out to engage with your followers. This can be as simple as sharing content that they have posted. Leave a helpful or appreciative reply when possible. Try to discover which of your fans replies or shares your content most often and engage in a conversation with them. If they ask questions, reply to them as soon as possible. 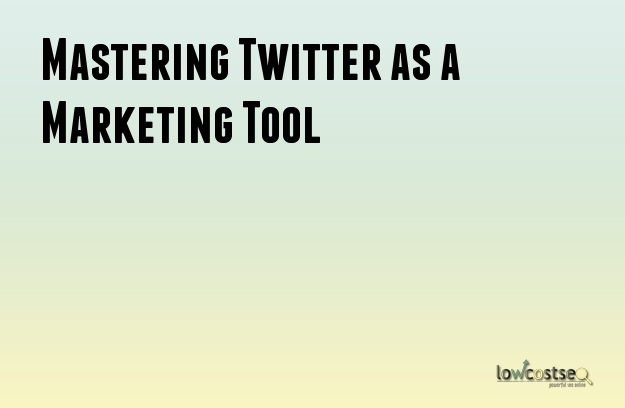 Twitter is a viable marketing solution for businesses. Many companies have already used it and got benefitted. You can make use of it as well without too much difficulty.